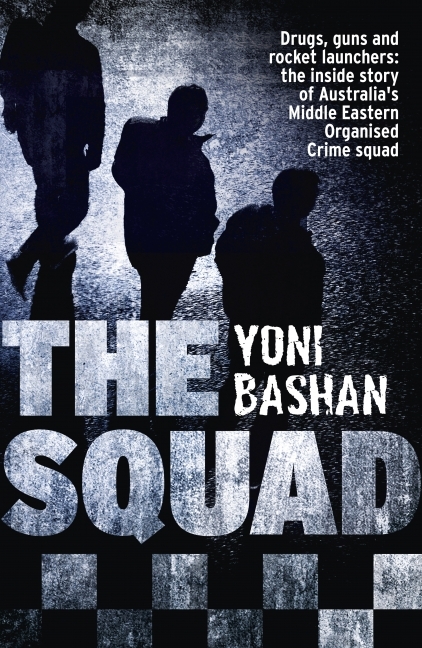 A gritty and compelling account of an elite police group, the Middle Eastern Organised Crime Squad (MEOCS). Middle Eastern organised crime in Australia is a dark, dirty and dangerous world of drug empires, murders and turf wars. Crime families dominate the suburbs and the streets are a labyrinth of dealers. Responsible for cleaning up this mess is the Middle Eastern Organised Crime Squad (MEOCS), a specialist unit of cops fighting an uphill battle against a deeply entrenched problem. The officers of the MEOCS are both fearsome and intimidating. They have to be, to deal with the rising violence, brutal mayhem and sheer brazen scope of the crime that they see every day. Written by an award-winning crime reporter, The Squad trails a core group of MEOCS detectives on their journey into the Sydney's Middle Eastern organised crime fraternity and takes readers inside the inner-workings of their biggest investigations - the wired-up informants, the undercover agents, the ingenious tactics and electrifying near-misses. Gritty, compelling and unputdownable. Yoni Bashan is a two-time award-winning crime journalist who has worked at News Corporations Australia since 2008. His work has been published in the Daily Telegraph and the Sunday Telegraph newspapers, as well as overseas mastheads including the Wall Street Journal. In 2012 he was named Most Outstanding Crime Reporter at the Kennedy Award Foundation's inaugural ceremony.